If you were watching the ball drop in Times Square this past New Year’s Eve/Day, you may have tuned in to see if Jenny McCarthy was going to make it her second year to kiss a stranger at midnight. Well, she did, but there was something grander overshadowing the countdown and kiss, and that was the start of another year in the fight to help parents around the world in their mission to help their children who have been diagnosed with autism. Much like Holly Robinson Peete and Tisha Campbell-Martin, Jenny McCarthy has been deeply involved and in the trenches, looking to listen, learn, educate, inspire and take action against autism and its effects, not only on the children, but on the family members and friends who are taking care of them. 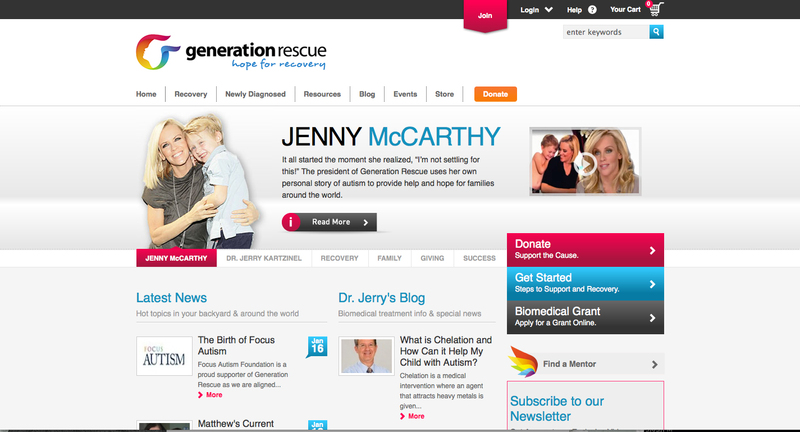 As President of Generation Rescue, Jenny is able to travel in order to reach out to hundreds of thousands of people in order to initiate the dialogue. I encourage you to acquire more knowledge on the topic and to add their website to your research. Jenny’s story is a remarkable one, and as she was able to figure out what worked best for her son’s recovery, she was, as a result, able to proclaim that her son eventually was free of the disorder.